RWANDA – At the end of the Rwandan genocide in 1994, 16 Presbyterian pastors had been killed, many had been wounded and some had fled the country. The churches that remained were empty. 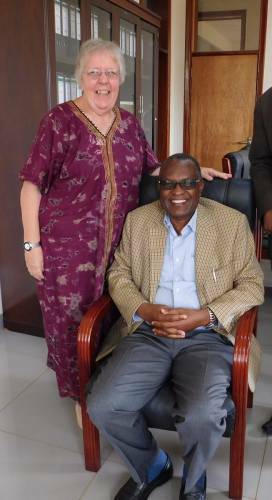 The president of the Presbyterian Church of Rwanda called his colleague Elisee Musemakweli to return from Belgium, where he was finishing his PhD. Together, with the help of German and Dutch partners, they restarted a two-year theological training course, with emphasis on peacebuilding and reconciliation. Musemakweli used that question to train pastors in biblical principles of servant leadership, reconciliation and peacebuilding. That question helped shape the training now offered at the Protestant University of Rwanda (PUR). That initial training equipped 36 pastors to face the challenges of restoring the church. Seven of those trained in that special program are now leaders of the Presbyterian Church in Rwanda, including the president, vice president and five presbytery presidents. The ecumenical program included Anglicans, Methodists, Lutherans, Baptists and Pentecostals. Many of their leaders have been trained in this theology, too. Musemakweli left full-time teaching to lead the Presbyterian Church for 12 years as president and is now back as chancellor of PUR, continuing to shape the future of the church for servant leadership and peacebuilding. The Rev. Mary Catherine “Kay” Day, mission co-worker serving alongside the Presbyterian Church in Rwanda, helps prepare men and women for pastoral ministry by teaching English and practical theology at the Protestant University of Rwanda. 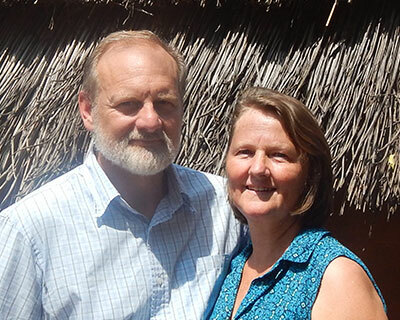 Support the ministry of mission co-worker Kay Day in Rwanda. This article is from the Fall 2017 issue of Mission Crossroads magazine, which is printed and mailed free to subscribers’ homes within the U.S. three times a year by Presbyterian World Mission. To subscribe, visit pcusa.org/missioncrossroads.